Indianapolis, Indiana – Attorneys for Plaintiff, Eli Lilly and Company (“Eli Lilly”) of Indianapolis, Indiana filed suit in the Southern District of Indiana alleging that Defendants, Dr. Reddy’s Laboratories, Ltd. of Hyderabad, Telagana, India, and Dr. Reddy’s Laboratories, Inc., a New Jersey corporation, (collectively “Dr. Reddy’s”) infringed its rights in United States Patent No. 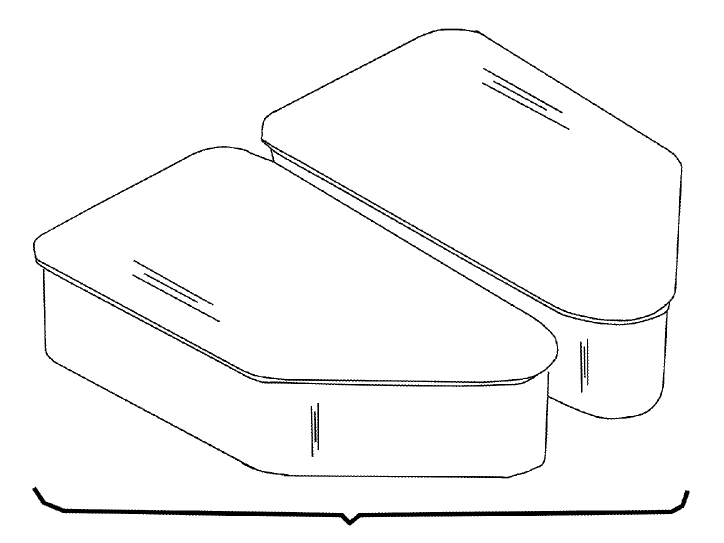 7,772,209 (“the ‘209 Patent”). Eli Lilly is seeking judgment that Dr. Reddy’s has infringed the ‘209 patent; that the effective date of any FDA approval for Dr. Reddy’s NDA product be not earlier than the expiration of the ‘209 patent; and for costs, expenses, and attorneys’ fees, along with any other relief the court may deem just and proper. The Complaint asserts that Eli Lilly sells ALIMTA ®, an FDA approved product used in combination with Cisplatin to treat patients with specific types of cancer. Eli Lilly claims that it is the assignee of the ‘209 patent, a method patent which was upheld as valid by the Federal Circuit in, Eli Lilly and Company v. Teva Parenteral Medicines, Inc., 845 F.3d 1357 (Fed. Cir. 2017). Dr. Reddy’s and Eli Lilly were engaged in a previous lawsuit concerning Dr. Reddy’s NDA No. 208297 and the ‘209 patent. According to the Complaint in this matter, the court found in the previous lawsuit that the filing of NDA No. 208297 indirectly infringed specific claims of the ‘209 patent and entered final judgment in favor of Eli Lilly. Eli Lilly claims that because Dr. Reddy’s did not challenge the validity of the ‘209 patent as a counterclaim or affirmative defense in the previous litigation over the ‘209 patent and NDA No. 208297, Dr. Reddy’s is barred by collateral estoppel or res judicata from doing so in this case. Dr. Reddy’s has filed an amendment to NDA No. 208297, and the Complaint alleges that the purpose of this amendment was to obtain approval of the product before the expiration of the ‘209 patent. Eli Lilly is claiming infringement of the ‘209 patent based on its belief that Dr. Reddy’s NDA product delivers the same active Pemetrexed moiety as the ‘209 patent. Further, Eli Lilly alleges that Dr. Reddy’s NDA product when used as directed will infringe claims 1-22 of the ‘209 patent under the doctrine of equivalents. As such, Eli Lilly is seeking judgment of infringement, costs, expenses, and attorneys’ fees. South Bend, Indiana – Attorneys for Plaintiff, Ellison Educational Equipment of California, filed suit in the Northern District of Indiana alleging that Defendants, Heartfelt Creations, Inc. and DOES 1-10 of Goshen, Indiana, infringed its rights in the United States Patent No. 9,079,325 (the ‘325 Patent). Plaintiff is seeking a permanent injunction, punitive damages, compensatory damages, attorneys’ fees, and costs. Ellison was founded in 1977 by a husband and wife who designed the first hand-operated die-cutting machine. Plaintiff has continued to provide innovations in the educational and craft markets ever since and even launched a new craft brand, Sizzix® in 2001. 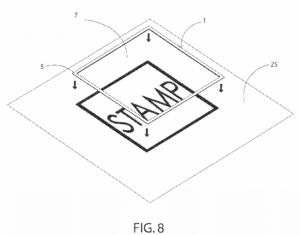 On July 15, 2011, Ellison filed a provisional patent application for a “Chemical-Etched Die Having Improved Registration Means.” The ‘325 Patent was issued stemming from the provisional patent application on July 14, 2015. Heartfelt is alleged to have created patterns that are turned into chemically-etched dies and are used in conjunction with the method taught by the ‘325 Patent. Further, the company gives demonstrations on how to use the product in violation of the ‘325 Patent and teaches the public how to infringe the ‘325 Patent on Heartfelt’s YouTube channel. Ellison sent a cease and desist letter to Heartfelt based on Ellison’s beliefs Heartfelt was infringing the ‘325 Patent on December 21, 2018. Plaintiff is claiming direct patent infringement pursuant to 35 U.S.C. § 271(a) with enhanced damages under 35 U.S.C. § 284. Second, it is claiming inducement of infringement pursuant to 35 U.S.C. § 271(b). Finally, Ellison is claiming contributory infringement pursuant to 35 U.S.C. § 271(c). Indianapolis, Indiana – Attorneys for Plaintiff, Tyler Research Corporation (“TRC”), a corporation organized under the laws of Pennsylvania with its principal place of business in Alberta, Canada, filed suit in the Northern District of Indiana alleging that Defendants, Envacon, Inc., a Canadian corporation with a facility in Lafayette, Indiana, Keirnan Bozman, an individual residing in Alberta, Canada, and JKKB Holdings Corporation of Alberta, Canada, infringed its rights in United States Patent No. 6,273,053 (the “‘053 Patent”). Plaintiff is seeking a permanent injunction, damages, costs, expenses, both prejudgment and post-judgment interest, and any other relief the Court may deem just and proper. TRC, Bozman, and non-party, Joseph Krepela, entered into an exclusive licensing agreement granting TRC the exclusive right to manufacture Bozman and Krepela’s innovative engine shut off valves (the “Shut Off Valves”) on November 11, 1999. For consideration under the licensing agreement, TRC assisted with the design and completed development of the Shut Off Valves and provided employment to Bozman and Krepela. The licensing agreement did not limit TRC’s rights geographically and TRC’s exclusive right was to be in place so long as any patent rights of Bozman and Krepela existed in reference to the Shut Off Valves. Bozman and Krepela were to put forth their best efforts in obtaining patent protection in Canada and the United States for the Shut Off Valves. Just short of four months after the exclusive licensing agreement with TRC was signed, Bozman and Krepela assigned their rights to the Shut Off Valves and the exclusive licensing agreement to JKKB. The very next day, JKKB filed for patent protection in the United States and Canada for the Shut Off Valves. The ‘053 Patent issued on August 14, 2001, with TRC holding the exclusive license to manufacture the Shut Off Valves. 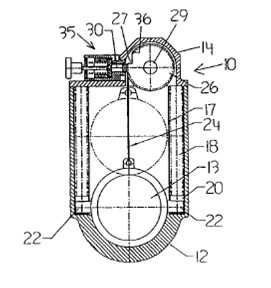 Plaintiff exclusively manufactured the Shut Off Valves from 2001 until 2004, when it decided to outsource some of the manufacturing steps to Envacon, pursuant to the exclusive licensing agreement. Envacon, even before they began manufacturing some parts of the Shut Off Valves, had marketed and sold the completed Shut Off Valves for TRC and paid TRC’s parent corporation for TRC’s manufacturing services. TRC and Envacon operated out of the same premises from November 23, 1999 until April 16, 2011 and as such, TRC was able to maintain oversight, direction, and control over Envacon’s actions and involvement in manufacturing the Shut Off Valves. Without giving prior notice, Envacon abandoned the space it shared with TRC on April 16, 2011. As TRC could no longer provide the necessary control and oversight over the manufacturing after Envacon left, Envacon was no longer authorized to manufacture the Shut Off Valves. TRC claims that Envacon, Bozman, and JKKB have all participated in the manufacturing of Shut Off Valves that infringe at least Claims 4, 14, and 15 of the ‘053 Patent or have conspired to deprive TRC of its rights under the exclusive licensing agreement. Plaintiff is claiming patent infringement against Envacon and Bozman, civil conspiracy against all Defendants, tortious interference against Envacon and Bozman, and civil conspiracy for tortious interference with a contractual relationship against Bozman and Envacon. TRC of its rights under the exclusive licensing agreement. Plaintiff is claiming patent infringement against Envacon and Bozman, civil conspiracy against all Defendants, tortious interference against Envacon and Bozman, and civil conspiracy for tortious interference with a contractual relationship against Bozman and Envacon. The Supreme Court of the United States has affirmed the Federal Circuits’ Decision for the Helsinn Healthcare v. Teva Pharmaceuticals USA case regarding “secret sales” as prior art under the Leahy-Smith America Invents Act (“AIA”). 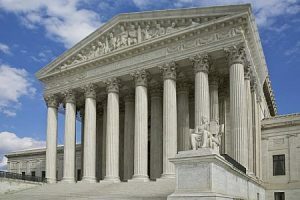 In their Opinion, the Court held that given the pre-AIA precedent that even “secret sales” could invalidate a patent, the same “on sale” language in the AIA provisions should be given the same presumption. Further, the addition of the phrase “or otherwise available to the public” does not allow the Court to conclude that Congress intended to alter the meaning of “on sale,” but instead, means that 35 U.S.C. § 102 could be applied to other non-delineated situations. Helsinn Healthcare (“Helsinn”) produces a treatment utilizing the chemical palonestron to treat chemotherapy-induced nausea and vomiting. During the development of this product, Helsinn entered into two separate and confidential agreements with MGI Pharma, Inc. (“MGI”) giving MGI the right to distribute, promote, sell, and market a 0.25 g dose of palonosetron in the United States. While the dosage was kept confidential, the agreements were reported to the Securities and Exchange Commission. About two years later, in January 2003, Helsinn filed their provisional patent application covering a 0.25 mg dose of palonestron. Helsinn went on to file four patent applications claiming priority to the January 2003 provisional application, with its fourth patent application being filed in 2013 and being subject to the AIA. 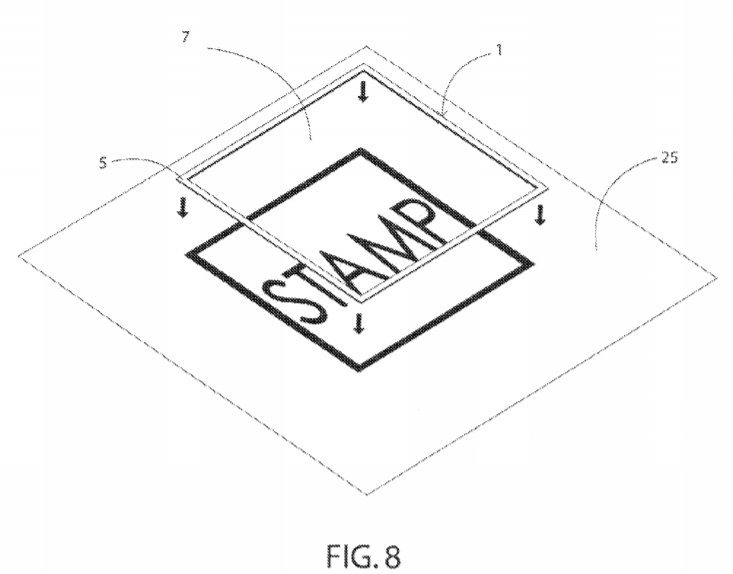 This fourth patent application led to the issuance of U.S. Patent No. 8,598,219 (the “‘219 patent”). Teva Pharmaceutical Industries, Ltd. and Teva Pharmaceuticals USA, Inc. (collectively “Teva”) sought approval to market a generic 0.25 mg palonosetron product. Helsinn, in turn, filed suit against Teva for infringement of the ‘219 patent. Teva claimed that the ‘219 patent was invalid under the AIA because the invention was “in public use, on sale, or otherwise available to the public before the effective filing date of the claimed invention.” 35 U.S.C. § 102(a)(1). Indianapolis, Indiana – Attorneys for Plaintiffs, Esther A.L. Verbovszky of Rocky River, Ohio and Hug Me Joey, LLC of Rocky River, Ohio, originally filed suit in the Northern District of Ohio. The case has since been transferred to the Southern District of Indiana alleging that Defendant, Dorel Juvenile Group, Inc. d/b/a Maxi-Cosi of Columbus, Indiana, infringed its rights in United States Patent No. 6,467,840 (“the ‘840 Patent”) for a “Child’s Car Seat Insert”. Plaintiff is seeking preliminary and permanent injunctions, damages, an award of attorney’s fees and costs, judgment, and prejudgment interest. Plaintiffs have been designing and producing products to help infants breathe better, digest food easier, and improve comfort during travel since 1998. 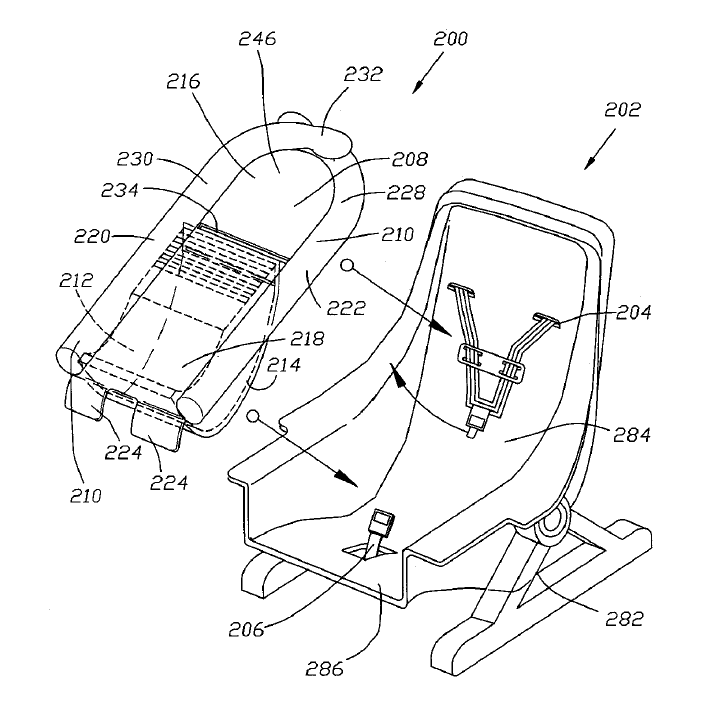 The ‘840 Patent was issued to Plaintiffs on October 22, 2002 for an insert to be used in a car seat for a tighter fit around the infant. Defendants are alleged to sell a group of products known as the Maxi-Cosi Mico Max 30 car seats, that are for use with small infants to achieve a snug fit, that infringe the ‘840 Patent. 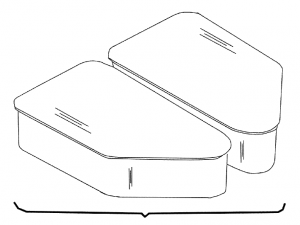 The sole claim of the Complaint is for direct and indirect patent infringement pursuant to 35 U.S.C. § 271. Indianapolis, Indiana – Attorneys for Plaintiff, Smart Solar Inc. d/b/a Smart Living Home & Garden of Libertyville, Illinois, filed suit in the Southern District of Indiana alleging that Defendant, Sky Billiards, Inc. d/b/a Best Choice Products of Irvine, California, infringed its rights in United States Patent No. 7,484,671 (“the ‘671 Patent”) for “Water Feature”. Venue was selected by the Plaintiffs as the Defendant is registered to do business in the State of Indiana, maintains a distribution facility in Indiana, and has allegedly committed acts of infringement in the Southern District of Indiana. Further, Defendants admitted in a separate action with the Plaintiff in Illinois that venue would be proper in the Southern District of Indiana. Plaintiff is seeking injunctive relief and judgment including statutory damages and attorneys’ fees. Smart Living designs, develops, and sells decorative birdbaths and fountains with solar water pumps. 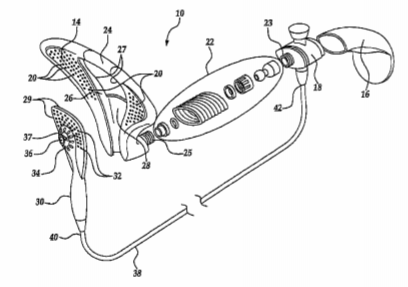 The ‘671 Patent was issued on February 3, 2009 to inventors Simon Howard Wigglesworth and Franz Roecker. It was then assigned to Smart Solar Limited, and Smart Living became the exclusive licensee. Plaintiff alleges that the fountains and birdbaths sold by the Defendant are imitations of Smart Living’s products and that they infringe the ‘671 Patent. Defendant has a long history of being sued for violations of intellectual property rights, which Smart Living believes to show a willful infringement of these rights. Best Choice makes, offers for sale, and/or imports four birdbaths and fountains that Smart Living believes infringe on its intellectual property rights. Plaintiff sent a letter informing Defendant of the ‘671 Patent on February 22, 2017, without any response. During litigation in Illinois, the Parties engaged in mediation on September 21, 2018, but settlement was not reached. The single claim of the Complaint is for Federal Patent Infringement pursuant to the Patent Act, 35 U.S.C. § 101 et seq. Plaintiff alleges that Defendant’s products directly infringe at least Claims 1-4, 6, 8, and 10-11 of the ‘671 Patent. Further, Defendant has indirectly infringed these same claims by actively inducing infringement after it had actual knowledge of the ‘671 Patent. Because of this knowledge of the ‘671 Patent and the continuing infringing acts, Plaintiff alleges Defendant’s infringement is willful and deliberate. Indianapolis, Indiana – Attorneys for Plaintiff, Tenstreet, LLC of Tulsa, Oklahoma, filed suit in the Southern District of Indiana alleging that Defendant, DriverReach, LLC of Indianapolis, Indiana, infringed its rights in United States Patent No. 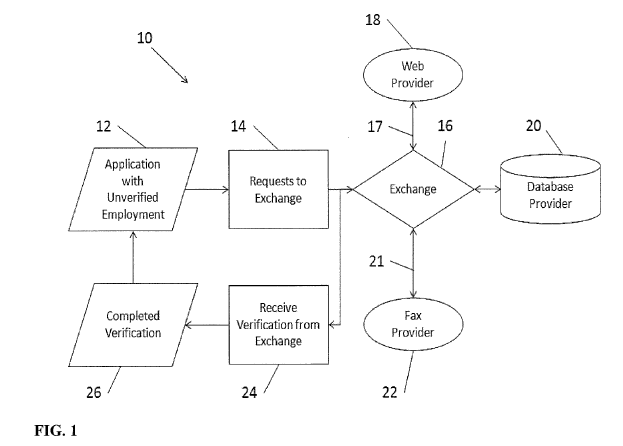 8,145,575 (“the ‘575 patent”) for “Peer to Peer Sharing of Job Applicant Information”. Plaintiff is seeking judgment, preliminary and permanent injunction, damages, attorneys’ fees, and costs. Tenstreet develops and sells software solutions for the transportation industry, including products for employment verification. The ‘575 patent was issued on March 27, 2012, and by assignment of all right, title, and interest, Tenstreet is the lawful owner. 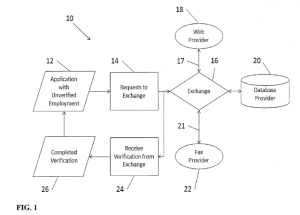 DriverReach makes, uses, sells, and offers for sale employment verification systems that allegedly infringe Tenstreet’s intellectual property rights. Further, Plaintiff claims that Defendant had a prior relationship with it that gave them knowledge of Tenstreet’s intellectual property rights. Plaintiffs sent DriverReach a cease and desist letter identifying and providing a copy of the ‘575 patent on August 22, 2018. This letter identified the Defendant’s VOE Plus product as a potentially infringing product of the ‘575 patent. Tenstreet also delivered a preliminary claim chart showing each limitation of claim 1 of the ‘575 patent is met by Defendant’s VOE Plus product on October 22, 2018. As such, Tenstreet is suing DriverReach for infringement of the ‘575 patent.